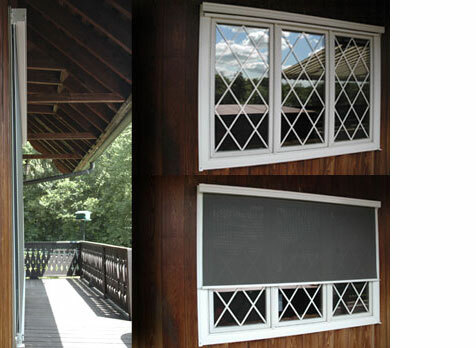 Visit our photo gallery to see how a Worldscreen solar shade would soften your interior. Worldscreen's headboxes are a fraction of the size of our competitors. Worldscreen goes the distance, bringing you a beautiful way to control heat, glare and UV rays while saving energy. We use only high quality materials to produce solar shades and blackout shades, making them smaller, sleeker and more compact than those of our competitors. Our elegant shade solutions shield your personal property from solar damage while enhancing the value of your home or business. Worldscreen products offer privacy, lower energy usage, and increase the amount of time you can comfortably enjoy your space. All of our shades come standard with the highest quality tubular motors. You can add wireless remotes, timers, or wind and sun sensors. You can even integrate them with your existing or planned automation system. Our patented construction virtually disappears when not in use. Worldscreen specializes in large coverage - up to 40 feet wide - with no fabric splits. Compact construction also means less labor-intensive installation. Three people can install a 40-foot shade without additional lifting equipment. A patented floating fabric suspension system eliminates wrinkles for years of flawless use. No one gives you more with less. That's the Worldscreen difference.